Northeastern University’s D’Amore-McKim School of Business offers an Online Master of Science in Taxation program that not only prepares students to tackle the complexities of a career in taxation, but also to navigate the frequent, complex changes to U.S. tax code. Individuals and corporations rely on qualified tax professionals to understand tax laws, complete returns, and maintain compliance. The Online MST program requires 15 credits of core courses and 15 credits of electives. Students can tailor their program by choosing either the Taxation of Individuals or the Taxation of Entities track, and then select electives that will best suit their future career goals and professional interests. As global markets change, the following elective courses from either track can help students adapt to new economic realities and shifting tax laws. This elective course prepares students with an in-depth review of the most common types of taxes imposed at the state and local level. From income and sales tax to excise and property taxes, this course can increase students’ understanding of the underlying principles governing each type. Students will explore how these taxes relate to one another, where applicable. Stakeholders of for-profit and nonprofit organizations must understand how their organization interacts with state and local tax authorities. Failure to grasp the basic rules of taxation could put the organization at financial and legal risk. Every jurisdiction has its own unique rules and regulations, so tax professionals must possess the ability to research and understand the laws. Every year, tax laws are subject to change. Therefore, tax professionals need to have the tools to stay current with upcoming changes. Students in the entities track will need to understand how their clients or employers can navigate the local tax environment while achieving optimal results. This course helps prepare students to aid taxpaying entities with confidence. Students in this course take an in-depth look at the tax consequences of businesses formed as flow-through entities, such as partnerships, limited liability companies, and S corporations. Topics covered include disguised sales rules, debt workouts, liability-sharing rules, and the tax treatment of shareholders. Recent changes to federal tax law have created new opportunities for flow-through entities to save on tax expenses. The changes are complex and require knowledge of flow-through entity operations as well as the tax law. Under the Tax Cuts and Jobs Act, flow-through entities may claim a 20 percent deduction, but getting the full benefit is complicated. Students who enroll in this course can gain a deeper understanding of how the taxation of flow-through entities has changed in recent years. Different rules apply for unique types of entities, which further complicates the subject. An overview of the subject, as well as the opportunity to discuss the complex topic with an established expert, can make this course especially useful to students, no matter their experience level. Topics discussed in this course include accounting methods and periods, installment reporting, inventory methods, long-term contract accounting, and cash versus accrual reporting. Students investigate the reporting for uncertain positions and accounting treatments accorded to current and deferred income tax liabilities and expenses. New tax laws will impact how income taxes are accounted. Tax professionals need to be able to recognize liabilities on estimated income taxes and calculate expenses for certain periods. In many cases, organizations record an asset’s value in one manner for financial reporting and in another manner for tax purposes. These temporary differences must eventually be settled. This course can give students a better understanding of these intricacies and how they can help clients make better decisions regarding them. This course delves into the intricacies of employee benefit plans, including the requirements for qualification, funding, coverage, and distribution requirements. Students examine a number of retirement options, such as individual retirement accounts, simplified employee pensions, tax sheltered annuities, stock plans, profit sharing, and pensions. According to investment expert Lewis Walker, the number of 401(k) millionaires is at a record high. However, the amount of money an individual has in his or her retirement account can be deceiving. In addition to strict required minimum distribution rules, an individual’s Social Security income may be taxed significantly. These considerations can confuse and frustrate account and policyholders who are not aware of the taxes placed on their retirement income. Tax professionals need to be able to explain these complex rules in plain language so they can better help their clients make informed financial decisions for the future, such as when allowable contributions to retirement plans change. Emphasizing the construction of an investment plan, this course takes students on a survey of products used for financial planning. Students discover strategies for helping clients develop an asset allocation strategy and implement recommendations. As job markets shift and the economy adapts to new conditions, individuals will face difficult choices regarding their financial future. Though online resources can aid individuals to a certain extent, they’ll require the help of a qualified tax professional to navigate these ever-changing waters. 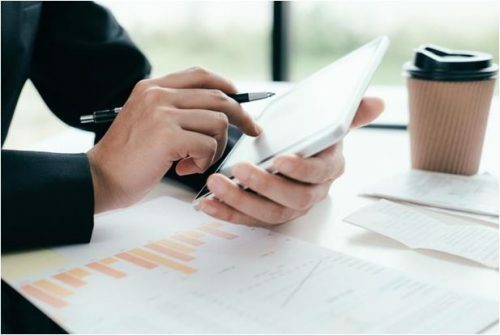 In addition to showing clients their options, tax professionals must feel confident in their ability to make recommendations and facilitate the implementation of a strategy. This course will help students update their knowledge of the markets to provide trustworthy guidance. Providing an overview of the rules for the taxation of estates and trusts, this elective delves into topics such as grantor trusts, irrevocable trusts, charitable vehicles, and treatments of excess distributions and beneficiaries, among others. The recent Tax Cut and Jobs Act increased the basic exclusion amount for an estate tax return for a 2018 date of death to $10 million before adjusting for inflation. This and other changes are important for tax professionals to understand so they may give advice to clients who receive funds from a trust or estate. Tax law is in constant change. If you want to further your tax education, gain competitive new skills, and prepare to advance your career, consider a graduate degree from the Northeastern University D’Amore-McKim School of Business. Learn more about the Online Master of Science in Taxation program today. Should you focus your master’s degree on taxation of entities or taxation of individuals?